The thought of constructing a new home is simultaneously an exciting and worrying idea, worrying because it can be overwhelming experience for many. However, if you have decided to build your own home then remember some important points to make the process of house construction smooth. You have to know the numbers that you can afford before you start buying a new home. You can’t just go with rough estimates since building a new home altogether involves a lot of monetary value. You can consult builders who provide with accurate cost-to-build figures. These numbers include the cost of construction, tax quotations and all other related expenditures. After assessing that you can afford to build the house, buy the blueprint of the proposed construction and arrange the financing from banks. Keep in mind while going for home construction lending that it is different than normal mortgage financing. Many people go to build their new home with limited budget in their hand therefore they have to make a choice between spending more amount of money on building or constructing more rooms or spend the budget with lesser construction but with complete finishing. It is always better to cover the area of construction with the complete building model that you have in your mind and the one that is drawn in the blueprint. It is better to add one more room then finishing your bathrooms and kitchen with granite flooring. You can do your floor upgrading and other beautifications processes later. Building a new home is a huge investment therefore you should keep in mind the future prospects associated with the house. 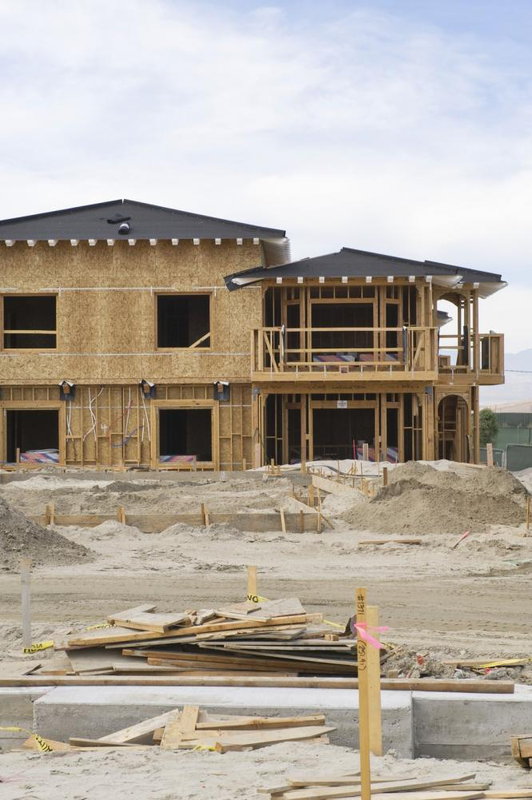 Construct new home with keeping in mind that you can sell it afterwards. Thus don’t spend too much on touch ups and upgrades to make your house overpriced also don’t use substandard material and contractors to build your house. No one wants to buy a house that is plagued with faults and liabilities. In building a new home, there is a benefit that you can pick and choose the home design of your choice. Use this prerogative sensibly and get the design that can save your energy expenditure. If you live in a area that has chilly average temperatures than you should make sure that the house design allows plenty of sunlight in the house or if you live in a region with warm average temperatures then the windows of your rooms should not face the east. You can also increase the surface area of roof to incorporate solar panels efficiently if you want to go environment friendly and want to use alternative means of energy. These small but significant house design changes can have very long term positive effects. Getting the services of a reputable and professional builder is very important to build the house of your dreams. Therefore thoroughly look for the builder who has best reputation in the market.